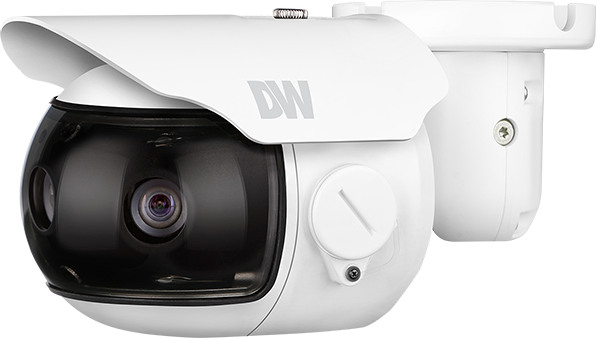 ISC West 2016 — Las Vegas, NV (April 6, 2016) – DW®, the industry leader in digital recorders, surveillance cameras and related management software, announces the availability of the world’s first AHD (Analog High Definition) multi-sensor camera. The new STAR-LIGHT AHD PANO™ 6MP Camera offers 3x1080p AHD image sensors to provide panoramic 180° views. The camera will be demonstrated at the ISC West Security Industry Trade Show, April 6-8, 2016, in Las Vegas, Nevada, Booth 17089. With user-friendly features such as UTC for full OSD control using existing coaxial cables, DW® AHD high resolution solutions have been engineered to utilize an existing analog system, increasing ROI by reducing installation time and complexity to provide an HD surveillance solution in minutes. Groundbreaking STAR-LIGHT AHD™ High Definition Cameras use existing coaxial cables to transmit crystal-clear detailed 1080p images at up to 30fps. The PANO models have three BNC connectors, one for each sensor, plus a fourth BNC out that provides a stitched 180° view perfect for display on a public monitor. The video streams can be brought into the CMS in a 180° view by placing them side by side (three across). The cameras offer fixed 4.3mm lenses and powerful features such as Wide Dynamic Range (WDR) and True Day/Night with Mechanical IR Cut Filters. DW® will begin shipping the cameras in May 2016.